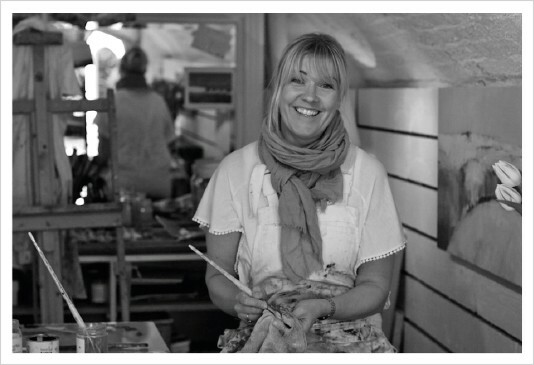 Halt Studios is home to Vanessa Worrall – Contemporary Landscape and Seascape artist. The Artists Studio is set within the peaceful grounds and garden of a former Mill and Railway siding. Here, Vanessa paints primarily in oil, creating vibrant, energetic works capturing the light and textures of our natural landscape. The outstanding local countryside is daily inspiration for Vanessa’s painting and her work represents a close affinity to nature. Vanessa is happy to work to commission if requested. High quality limited Giclee prints can be ordered from any of her catalogue of works in the gallery. Please contact Vanessa, join her mailing list for up coming exhibitions and follow on instagram for up to date studio snap shots.